Treatment of glaucoma is customized for each patient ranging from medications in the form of eye drops, lasers, anti-glaucoma surgeries, shunts and minimally invasive implants. 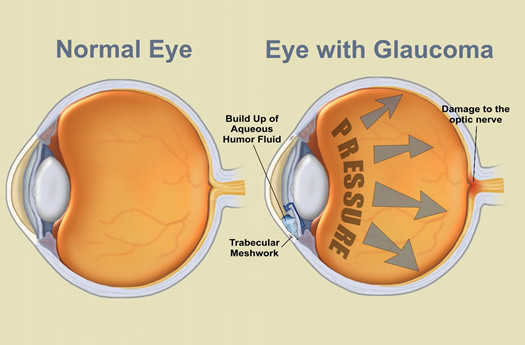 Glaucoma is usually treated initially using drugs and medications that are designed to reduce the excess pressure within the eye, thereby halting the progression of the disease. Treatment is often initially administered in the form of eye drops, outpatient based Laser Procedures and eventually surgery. Today, there are a whole generation of anti-glaucoma medication that has diminished the necessity of surgery. However, surgery does remain the final defense, and the surest way to assuage the intra-ocular pressure that Glaucoma expresses itself as. Now, surgeries like laser Iridectomy or Trabeculoplasty are helpful in certain cases to increase the fluid drainage from the eye, but surgical procedures like Trabeculectomy or a modified Anti-Metabolite assisted (Mitomycin- C) Trabeculectomy procedureare undertaken if medication is not able to arrest the progression of the disease. 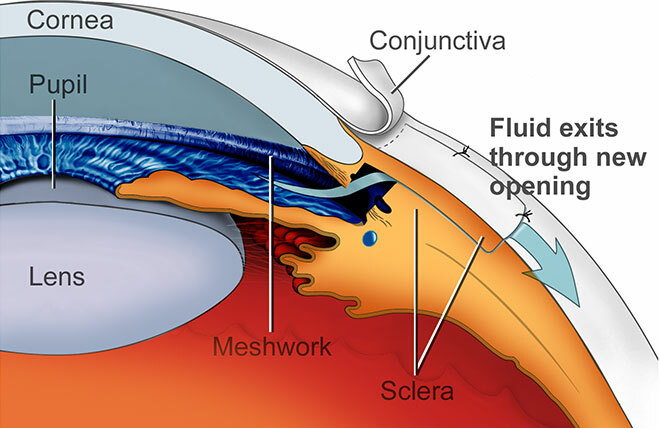 In extreme cases, modern generation filtering devices like Glaucoma Valves and Shunts are also used to modify the blinding course of the disease. •	Goldman’s Applanation Tonometry: It is a gold standard instrument used to determine the pressure within the eye by measuring the force necessary to flatten an area of the cornea with a small disk. •	Visual Field Assessment (Humphrey Zeiss, Germany) : Our state-of-art visual field Analyzer helps map the field of vision of each eye. It maps functional state of the optic nerve by evaluating blind spots in the field of vision and also monitors for and documents progression of the disease. A Perimetry test (Visual Field test, also known as Automated Perimetry) measures all areas of your eyesight, including your side, or peripheral, vision. To do the test, you sit and look inside a bowl-shaped instrument called a perimeter. While you stare at the center of the bowl, lights flash randomly. You press a button each time you perceive a flash. A computer records the spot of each flash and if you pressed the button when the light flashed in that spot. Based on your pattern of clicks and presses, the software uses normograms and algorithms to generate a printed report of your retinal sensitivity which is then read and interpreted by your eye doctor. •	OCT (Zeiss Cirrus 500 HD-OCT, Germany) : To evaluate structural status of the optic nerve head and study early damage to nerve fibers, very often, exposing early pre- perimetry defects). OCT is an acronym for “Optical Coherence Tomography”. 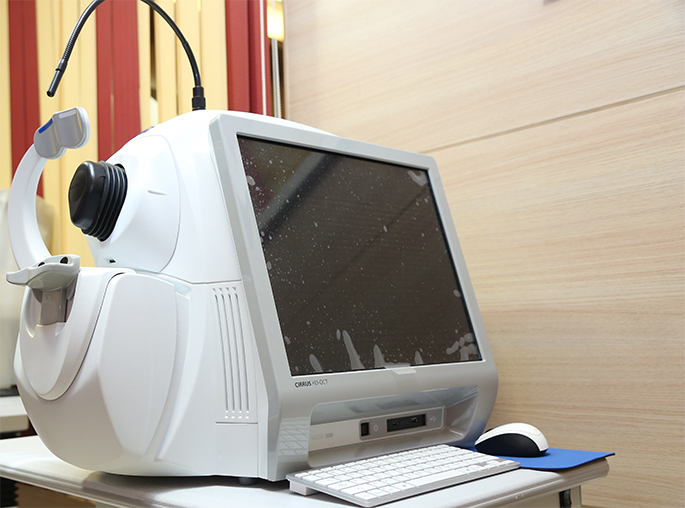 This state-of-the-art instrument is used to analyze the anatomic structure of the optic nerve head, or disc, retina and anterior segment of the eye.